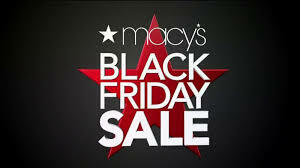 The holiday season is fast approaching and that has many thinking about the annual black friday sales! This year may be a bit different though; some business are withdrawing their annual sales, and refusing to open. One store proposing this idea is REI, who urges customers to spend the day outside, rather than shopping. This topic has cultivated much controversy because some believe they are missing out on a great financial opportunity, and others support the idea of spending the day outside with family and friends. Recently, some stores have opened early, on Thanksgiving night. These stores although received an increase in profit, have drawn negative attention and shame. The reasoning for this is because some believe that opening on Thanksgiving, a holiday, isn’t right. Even some employees of Macy’s have protested not to open on Thanksgiving night, for they feel they have rightfully earned the day off to spend with their loved ones. This even has some customers boycotting these companies by refusing to shop there if they decide to open on Thanksgiving day. 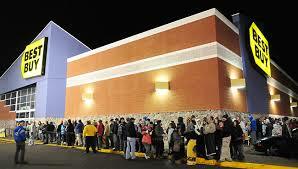 In the past, Best Buy, Walmart, and Toys R Us have opened earlier and earlier every year on Thanksgiving. This year, they may be opening earlier than 6 P.M., possibly before Thanksgiving dinner has been held in many American households. Regardless, the time these stores open is their own decision, even though it may negatively impact their sales, reputation, or satisfaction of their workers.